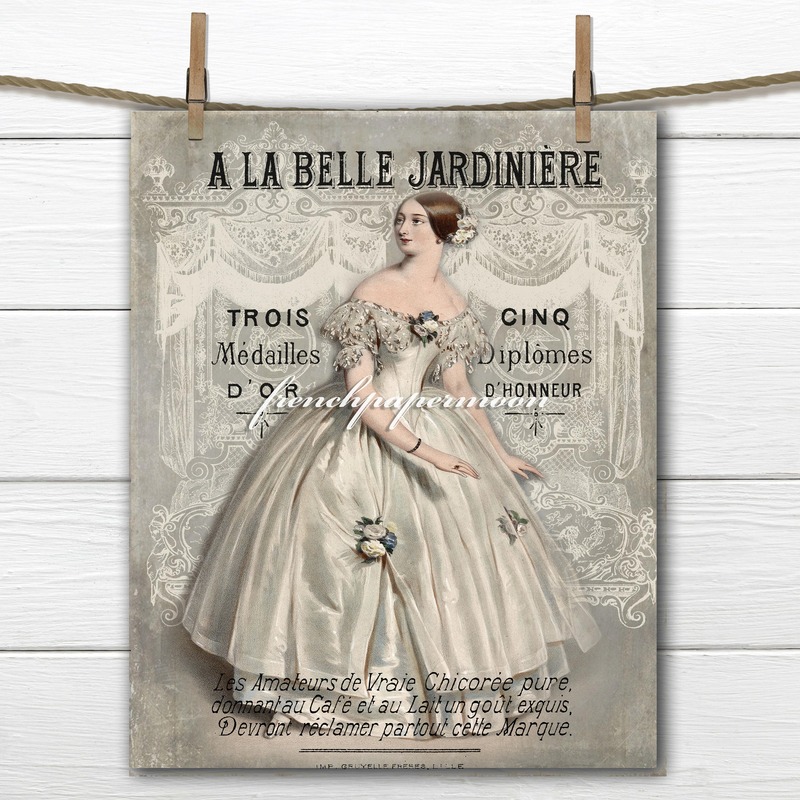 Gorgeous layered image showing 19th century French fashion, vintage graphics and wall panels combined to give you a seamless one of a kind printable. 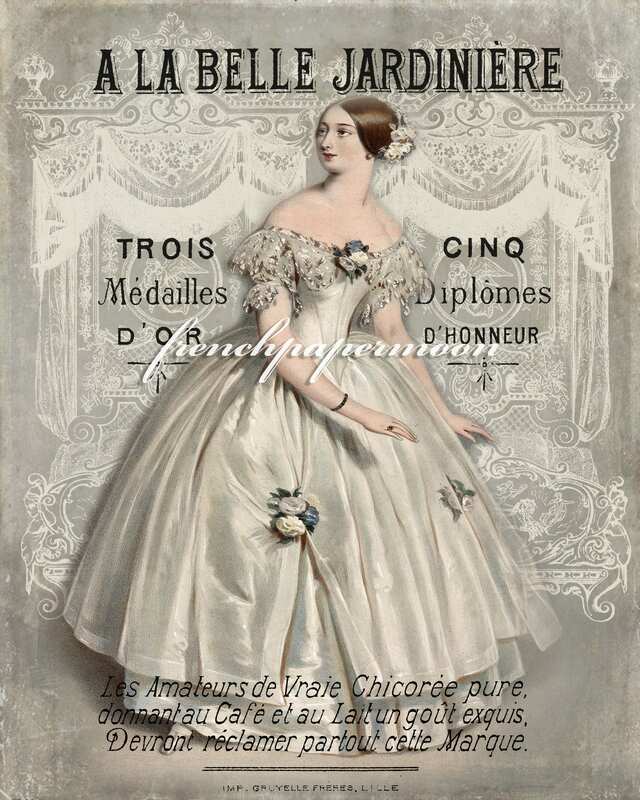 Perfect for all your vintage craft projects or simply print out and place in a frame. You will receive 2, 8x10" JPEG images, one reversed. instant Digital Download.